KIEV, Ukraine -- European Union and the Ukrainian government officials Friday signed a $596-million-dollar loan agreement to repair intercity highways in the former Soviet republic. The low-interest credit will go towards overhauling six sections of two and four-lane road highway connecting the capital Kiev to the European road net, said Evhen Prusenko, a senior official for Avtodoroha, Ukraine's national road maintenance agency. Two of the road section overhauls would be complete in time for the Euro 2012 football championship, Prusenko said, according to a Unian news agency report. The European Bank of Reconstruction and Development (EBRD) will act as the loan issuer. An initial tranche of $331 million dollars is to be paid out in early 2011, said EBRD spokeswoman Sue Barrett. 'This will be the EBRD's single largest transportation project in Ukraine,' she said. Prusenko estimated the loan's annual interest rate at 'around two per cent' - a rate roughly one-tenth of interest rates currently prevailing in Ukraine's domestic credit markets. Ukraine will pay off the loan by 2025. Prusenko said Kiev was discussing another possible loan of $600 million dollars for road repairs with the European Investment Bank. Kiev has named overhaul of the national transportation structure a top priority, so as to stimulate economic growth and to help handle some one million international visitors expected for the Euro 2012 football championship. Ukraine's transportation infrastructure for the most part dates back to the Soviet era. 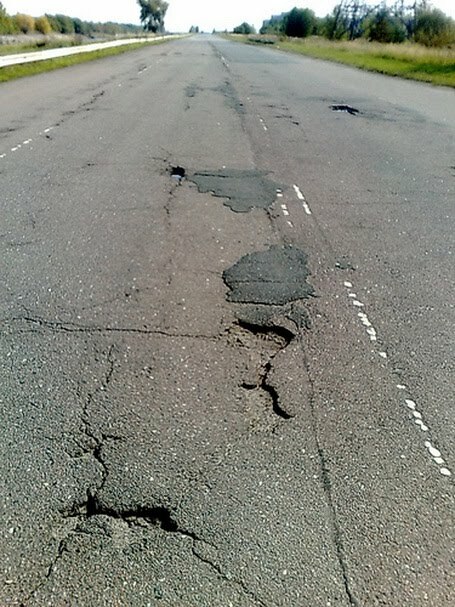 Travelers most often complain of potholed roads, slow trains, and poor service standards on aircraft and in airports.